Born in Sydney, Australia in 1972 Brendan Tunks began his martial career at an early age and has continued his studies for over 35 years. Originally schooled in the Japanese fighting arts of Judo and Karate, he made a natural progression to Chinese Boxing in the mid-80's when he began to study Chang Quan and the fundamentals of Wing Chun. Brendan fought competitively in Kickboxing, Modified Thai Boxing and freestyle tournaments in the late 80s and 90s (first fighting full-contact at the age of 16), using Chinese Boxing with considerable success. In 1988, Tunks had the good fortune to study the Shi Lu Tantui (10 Roads of Spring Leg) of Cha Quan and fundamentals of Shaolin and Xingyi from Shanghai native Wang Changfei. He focused on the jiben gong of traditional Northern Chinese martial arts for the following three years. Soon after he was accepted - along with David Cuthbert and Ki Lam - as the first students of Wang Xiaohua, student of renowned Tanglang master Li Zhanyuan. Tunks followed Wang Xiaohua for the next seven years exclusively studying Mantis Boxing and together they formalised and incorporated the Mantis Boxing Society (Tanglang Quan She) in 1996. Tunks became the President of the Society in 2000. Tunks followed his teacher Wang to China in 1994, training, visiting the Shaolin Temple and laying the foundations for his future residence in Shandong. In 1997 after having absorbed the majority of Wang's teachings, Brendan was encouraged to return to China to study directly from the family source of Qixing Tanglang in Qingdao. Tunks was accepted as the student of Kang Zhiqiang senior disciple of Li Zhanyuan, and remained in China training Tanglang full-time for six months. At the end of this period he was accepted as disciple of Shifu Kang Zhiqiang. His studies in Qingdao were overseen by Shifu Li Qiming, (former coach of the Shandong team and provincial and national champion) who was responsible for refining Tunks’ fundamentals and fighting skills. Li Qiming is a well-rounded master whose background includes Tanglang along with Tongbei, Cha Quan, Xingyi and Taiji Quan, yet is best known for his Hou Quan (known as Shandong's Monkey King in the 60's-70's). Disciple of the great Zhou Yongfu, Li was a member of the Chinese national wushu team which toured the world in the 1970’s and was also a pioneer of modern Sanda. Tunks was formally accepted as Li Qiming’s first foreign student in 1998.  Tunks has also studied Mantis Boxing under Li's younger brother Li Qiyu since 1998. 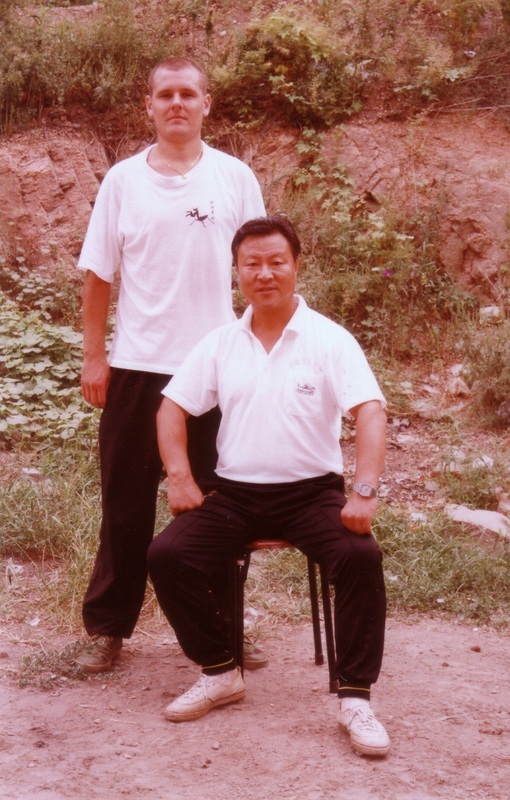 Li, also a distinguished professional coach and former provincial champion was the lifelong disciple of the late Zhang Zuochun, himself disciple of the enigmatic Wang Yunpeng. Tunks also continued studying the Qixing Tanglang of Grandmaster Li Zhanyuan under Qin Guihua and Chen Leping. Tunks competed in the Jinan International Wushu Competition and Qingdao International Wushu Championships in 1998, winning 3 gold medals for Mantis Boxing and short bladed weapons. His student Nang Ho took the junior men's championship in both competitions. Competing in Qingdao in 1999, Tunks won gold in Tanglang Quan and took part in the first Traditional Mantis Boxing Free-Fighting (Chuantong Tanglang Sanda) competition of the modern era. He was awarded the silver medal in the Heavyweight division. Tunks continues to return to China regularly to increase his understanding. He has also travelled to Poland in 2006, 2007 and 2009 and to Finland in 2013 to teach Mantis Boxing as a guest of the Polish Praying Mantis Kungfu Association and Finnish Praying Mantis Kung Fu Federation. He has maintained a strong relationship with his Polish and Finnish brothers, working in close cooperation with Master Slawomir Milczarek to develop the system outside of China since the 1990’s. The bond between the three countries was formalised in 2013 with the foundation of the Mantis Boxing Tri-Nation Union in Helsinki, Finland. Tunks has a bachelor degree in Asian Studies from the Australian National University and is proficient in Mandarin Chinese. He resides in the Australian Capital Territory and currently teaches by appointment only.